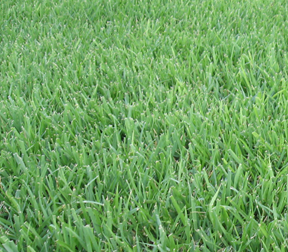 When used properly, organic fertilizers can maintain a beautiful lawn, and reuse waste products. The current “green movement”, with its interest in organic, sustainable gardening, has grown to include a variety of lawn care practices, including use of organic fertilizers derived from natural sources such as plant or animal wastes. Examples of organic fertilizers include biosolids (e.g., Milorganite) and manure-based fertilizers. As use of organic fertilizers becomes more widespread, understanding ways in which they differ from conventional, inorganic fertilizers is important. How do organic and conventional fertilizers differ? One pound of nitrogen (N) from an organic fertilizer almost never produces the same result as one pound of N from a conventional fertilizer. Organic fertilizers tend to contain complex N-containing compounds that must be broken down by soil microorganisms before the N can be used by plants. This process occurs slowly over a long period of time (Figure 1), and the microorganisms use a substantial portion of the N for their own growth. In general, in order to get the same result from an organic fertilizer as a conventional fertilizer, one needs to apply approximately twice as much organic fertilizer. 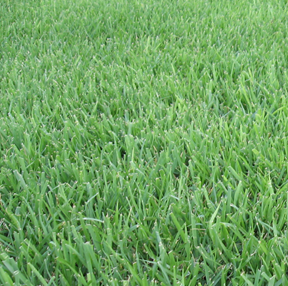 After roughly 10 to 20 years of fertilization with an organic product, organic nitrogen will accumulate in the soil to the point that grass will begin to require less fertilization. Another major difference between organic and conventional fertilizers is that organic fertilizers usually do not cause grass to green up as fast as conventional fertilizers do (Figure 2). Greening is related to the amount of soluble N available to the grass. Typically, conventional fertilizers have higher amounts of soluble N than organic fertilizers. 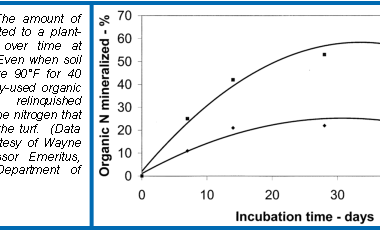 Some organic fertilizers contain no soluble N at all, while others may have up to 50% of their N in a soluble form. 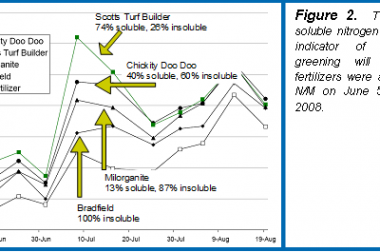 Since the insoluble portion of N in organic fertilizers becomes available through the action of microorganisms, N release in organic fertilizers is slower, especially in spring and fall when soils are cooler and microorganisms are less active. How should I fertilize my lawn when using an organic fertilizer? Make an initial application of an organic fertilizer to your lawn in late May or early June (i.e., around Memorial Day). Application of a slow-release fertilizer at that time will gradually produce N that can be used by grass all summer long. Consider a second application of an organic fertilizer at the beginning of July (i.e., around Independence Day), but only if your grass is still green and not under drought stress. Make a final application in early fall (i.e., around Labor Day). This final application will help promote faster greening and faster growth the following spring. If you leave clippings on your lawn as you mow, N will be released as the clippings decompose providing the equivalent of one additional fertilizer application of N during the year. • Applying an organic fertilizer at the labeled rate will not green your lawn in the same way you have come to expect from using conventional fertilizers. A similar greening can be achieved by applying an organic fertilizer at twice the labeled rate. In addition to supplying nitrogen, an organic fertilizer will add more organic carbon to the soil, which may improve soil structure and soil biological activity over the long term, and allow you to reduce your fertilization after 10 to 20 years. • Use an organic fertilizer that contains some soluble N. This will lead to quicker greening and will likely lead to more efficient use of N. Using a product with soluble N is especially important for applications made in the spring and fall. The soluble N content is listed on the label of every bag of fertilizer. • Most organic fertilizers contain phosphorus and have the potential to contaminate surface and ground water if used improperly, even though they are exempt from state restrictions on the use of phosphorus-containing fertilizers. Always sweep fertilizer off of solid surfaces (e.g., driveways and sidewalks), and avoid application directly into bodies of water or on frozen soils.